The last time we came to Portugal, we visited the city of Porto and Richard gave a talk at the university. Unfortunately, he came down with a mild case of food poisoning, which put a huge damper on our two-day visit and significantly reduced the number of photos I took. Nobody wants to see photos of someone who’s feeling miserable. Our friends Lígia and Jorge. 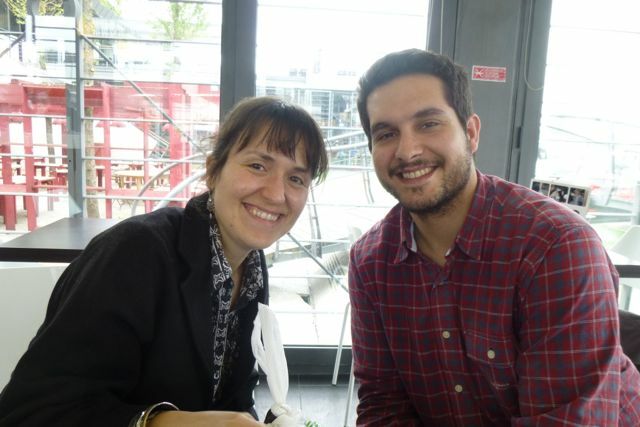 We decided to give the city another chance when our friend Lígia and her partner, Jorge, moved there from Lisbon last year and had a baby in August. 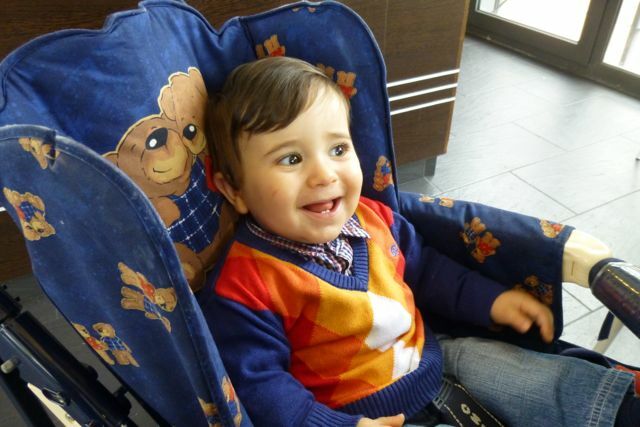 They invited us to stay with them and little Júlio, who’s now a lively and happy eight-month-old. Their house is in a suburban area—Porto, with a metropolitan area of one million is much less densely populated than Lisbon, at 3.2 million—but very close to a metro station. It’s also next door to a social housing community, which gives them the opportunity to meet and interact with people of diverse class backgrounds. Baby Júlio has a reason to smile. He’s getting ice cream. As I mentioned in an earlier post, several prominent travel sites have named Porto the #1 tourist destination in recent years. In addition, the large low-cost carrier RyanAir has made the city’s airport a major hub, bringing tourists from all over Europe. In the past, the British have made Porto their favorite travel spot because of the excellent port wine and the entertaining tours of the caves where it is made. Now the rest of the continent (and many others as well) is beginning to discover what all the noise is about. 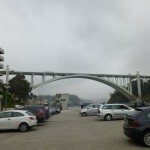 The Luis I Bridge over the Douro River was designed by a student of Gustave Eiffel. 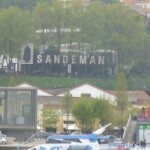 The Sandeman Cave, of one of the most popular producers of port. 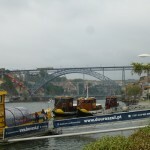 The newest bridge over the Douro River. 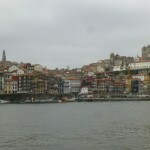 View of Vila Nova de Gaia, across the river from Porto. 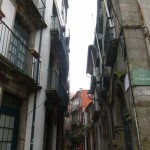 A narrow street in the oldest part of Porto. 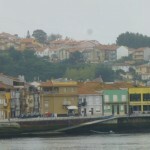 View of the Porto waterfront from Vila Nova de Gaia, in spring 2014. 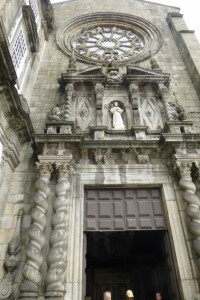 Exterior of the Igreja São Francisco. Non-drinkers can find much to see as well. Lígia and Jorge took Richard and me to see the two iconic bridges over the Douro River, one designed by a student of Gustave Eiffel and the other quite modern. Even the parish churches are quite elaborate, but the gilding and detail of the Igreja São Francisco is unsurpassed. Unfortunately, I was prohibited from taking pictures inside, and the postcards sold at the gift shop were not of great quality. 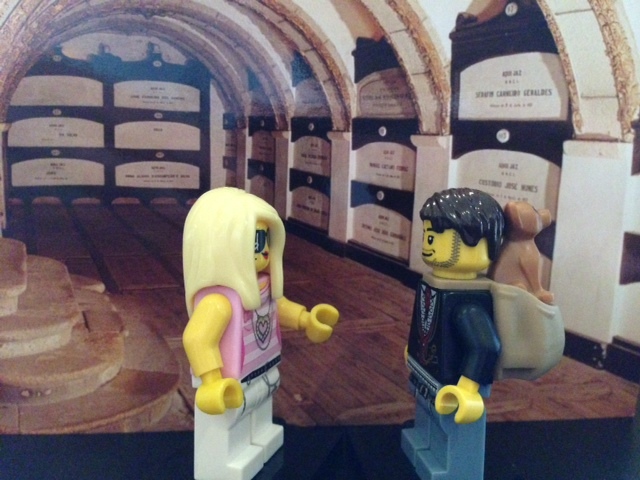 However, I did use one of the postcards as a LEGO photo backdrop to highlight another feature of this cathedral—the tombs of monks and priests located under the wooden floor and throughout the large space. Margarida Negrais and Dr. Levi Guerra with their book. 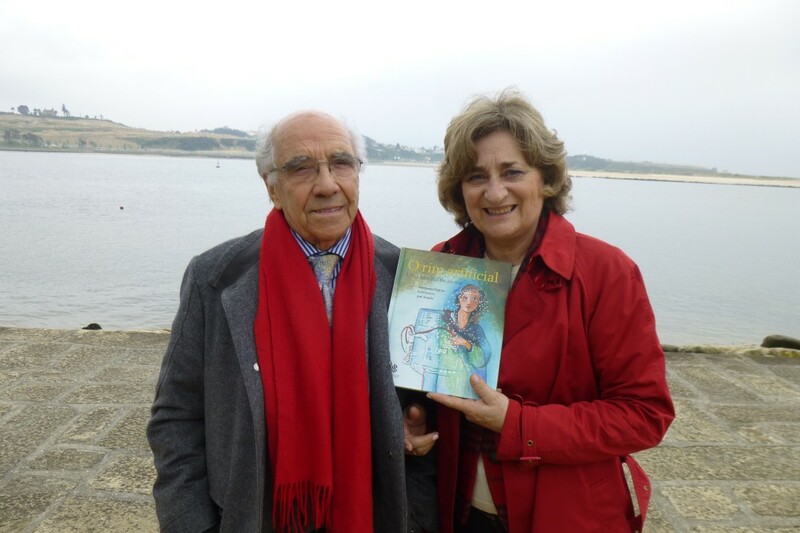 Traveling to Porto and staying for several days also gave me the chance to meet a Portuguese picture book author, Margarida Negrais, who has written a science book with the esteemed Porto pediatric nephrologist Dr. Levi Guerra. Their book, O Rim Artificial (The Artificial Kidney), combines fact and fantasy to tell the story of a young boy who must conquer his fear of the dialysis machine in the course of finding a cure for his congenital illness. 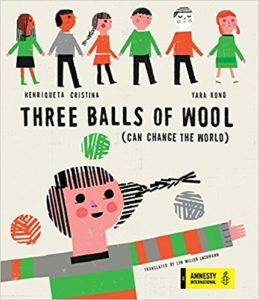 The book has been used to help children facing a variety of life-threatening illnesses. I met Margarida through a mutual friend, the Chilean-American poet and essayist Marjorie Agosín, whose lyrical debut novel for young readers, I Lived on Butterfly Hill, is a must-read that I reviewed for The Pirate Tree last week. 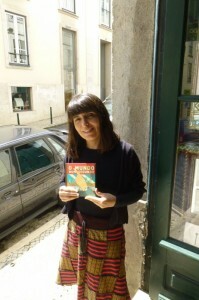 Isabel Minhós Martins with the Brazilian edition of O Mundo Num Segundo. Speaking of books, I did a lot of shopping on this trip and am returning with a much heavier, though not noticeably fuller, suitcase. Gabriela Ruiva Trindade’s debut novel Uma Outra Voz (Another Voice) was getting a lot of hype while I was there, so I decided to buy a copy. So far, I’ve found it to be a good book and not just good publicity. I also bought O Silencio da Água (The Silence of the Water), a children’s story by Portuguese Nobel Laureate José Saramago, and Uma Onda Pequenina (A Tiny Wave), a whimsical tale of a child afraid of a wave that uses the structure and design of the picture book as part of the story. The author of Uma Onda Pequenina, Isabel Minhós Martins, also wrote O Mundo Num Segundo (The World in a Second), which I am translating from Portuguese to English for Enchanted Lion Books. I had the pleasure of meeting Isabel also, and she gave me a copy of the Brazilian edition, which gives me the chance to see the differences between European and Brazilian Portuguese as well as another design, as the Brazilian picture book is much smaller than the original (and the one that will be published in English). 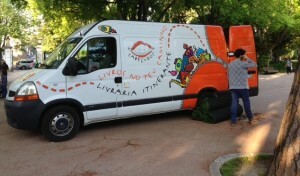 This rolling bookstore in a park in the Estrela neighborhood of Lisbon was the first place where I saw O Mundo Num Segundo. 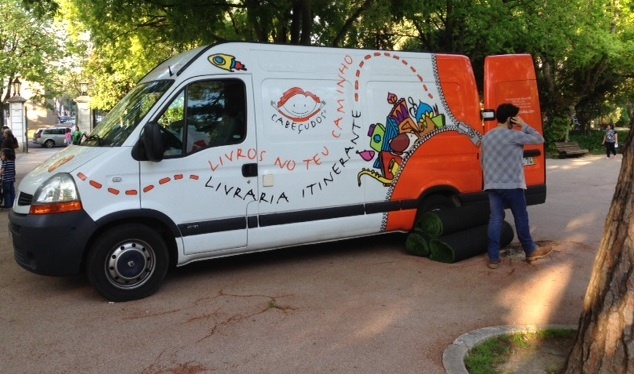 I’m planning one more post about my time in Portugal, focusing on the LEGO Fan Event in Lisbon, and Richard is putting together his new edition of the ever-popular “Dining In Lisbon.” However, this week I’ll be contributing my piece to the #WeNeedDiverseBooks campaign, in response to BookCon’s choice of four white males for the “Luminaries of Children’s Literature” panel and their unresponsiveness to calls for a more diverse panel. What a diverse and fulfilling trip, Lyn. I’m looking forard to seeing your next post on the LEGO event! I hope you and the family get to Porto soon. I think you’d really enjoy it! Oh Lyn!!! I loved this glimpse at Porto! And how wonderful that you got to meet children’s book authors. Glad you’re contributing to the diverse books initiative. Thank you, Linda! I’m glad this trip turned out better than the last one, and I was able to get some nice photos. 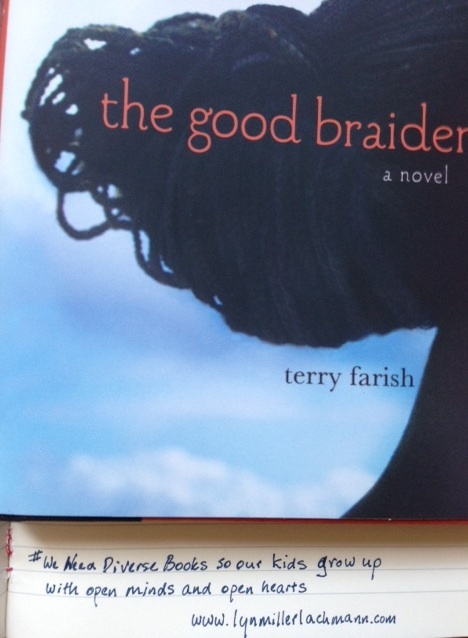 And stay tuned for my take on #WeNeedDiverseBooks!